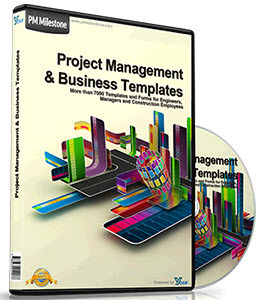 Microsoft Project supports many, but not all, of the management areas associated with project management. For example, it provides only minimal support for project procurement and project quality. The solution is to combine Microsoft Project with other tools and resources. Use Microsoft Project to provide the initial information you need. Then draw upon other tools and resources as needed to more fully handle responsibilities specifically associated with procurement or quality. Finally, come full circle with Microsoft Project by adding notes to tasks or resources, inserting related documents, or linking to other locations. For example, use Microsoft Project to help estimate your initial equipment and material resource requirements. Work through your organization's procurement process and compile the relevant data. Add notes to the resources or tasks in your project plan, making the information easy to reference. Use a tool such as Microsoft Excel, or another program especially designed for this purpose, to help track the depletion of materials to the point where reorder becomes necessary. Even though Microsoft Project can't manage every aspect of your project, it can still be the repository for all related information. Balancing scope, time, and money is often among the biggest responsibilities of the project manager (see Figure 2-1). Figure 2-1. The project triangle is an effective model for thinking about your project's priorities. If you increase the scope, the time or money side of the triangle will also be increased. If you need to reduce time, that is, bring in the project finish date, you might need to decrease the scope or increase the cost through the addition of resources. Note There's some debate about how to accurately describe the key controlling elements that make up a project. Some believe that it's best described as a triangle—the three sides representing time, money, and resources. Others say that it's a square—with scope, time, money, and resources being the four sides, each one affecting the others. This book approaches money and resources as synonymous in this context because resources cost money. Adding resources adds money, and the only thing you'd need more money for would be resources. So in this book, the project is conceptualized as a triangle with the three sides being scope, time, and money/resources. For information about working with the project triangle to help control your project, see Chapter 11, "Responding to Changes in Your Project."